In the context of the CUTE 2014 masterclasses, the Numediart institute and the Mundaneum invite you on a panel discussion with four guest speakers: Miller Puckette (University of California San Diego), Sébastien Roy (Université de Montréal) , Marc Leman (University of Gent, Belgium) and Christophe d’Alessandro (LIMSI-CNRS). • How the innovation in interaction (interactivity?) affects our relation with media? • How creativity is a key factor for business development? • How does interdisciplinarity work in practice? This panel discussion targets a very diverse audience of researchers, students, entrepreneurs, artists... There won’t be room for everybody so you’re kindly invited to register for the event through the CUTE 2014 webpage. In the digital era the Mundaneum has already emerged as a wonderful forum for experimentation, bringing together heritage and technological innovation: a center for digital culture to be explained and debated through exhibitions, lectures and educational activities. The Mundaneum is now under phase of work until 2015 when the city of Mons will turn into a European capital of Culture. 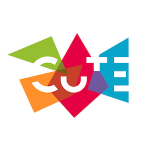 CUTE is a yearly masterclass series on culture and technology, organized by the numediart research institute of the University of Mons. We bring together a panel of world-renowned experts in various high-tech fields and get them to meet all kinds of audiances (research, arts, industry) in a series of "hands on workshops"... for free! In 2007, the University of Mons (UMONS) established the Institute for New Media Art Technology(NUMEDIART). It comes as the result of many years of preparation and has led to UMONS achieving internationally recognised appraisal in the field of sound, image, video, gestures and biosignals processing for applications where human-computer interaction aims to prompt emotion. Retrouvez l'interview de Manuel Lima à cette adresse et la conférence complète ici.